Valet parking at the Scarborough train station is not new nor can a three-year old program be defined as old. 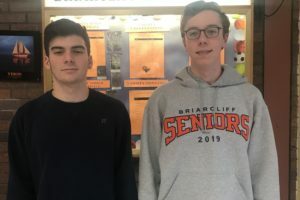 Rather, the most appropriate description of this helpful service is “relief” for the scores of Briarcliff Manor rail commuters who take advantage of it on a daily basis. preceded it, was a frenzied sense of running for the train or circling the parking lot searching for two vertical stripes with nothing in between them. Valet parking at the Scarborough train station has taken care of that. 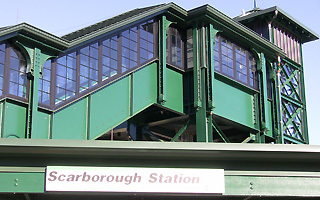 Born out of necessity, according to Briarcliff Manor’s Village Manager, Philip Zegarelli, valet parking came about several years ago when the MTA commenced construction to modernize the Scarborough station. Construction, which included new curbing, platforms and an overhead pass, also created a paucity of available parking. With foresight the Village adopted valet parking as a means of keeping morning and evening commutes flowing and somewhat seamless. The construction is now over, yet the call for valet parking has remained. 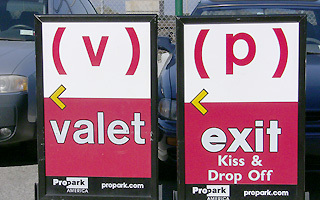 “Valet parking is not an extra charge and it has attracted more and more people. One of the reasons for its popularity is Juan Tirado, who manages that part of our lot,” Zegarelli said. Tirado works for Pro-Park which has an agreement with the Village. 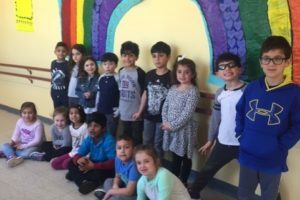 We walked over to Mr. Tirado who proudly donned a Yankee hat and greeted us (as he did everyone) with a smile and helpful manner. 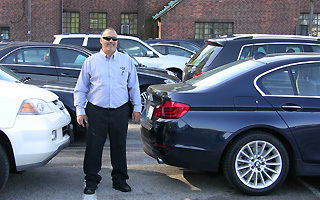 Juan Tirado knows every one of his cars and their owners. Likewise everyone knows Juan and they greet him with specific instructions that he carries out with an effervescent attitude and aptitude. “We try to accommodate the people so that they don’t miss their trains. We have a big volume of cars and we try to be as quick as we can with them, as they rush to their trains every day. Right now we have a crew of three, and I usually handle the morning rush hour,” Tirado said, in between greeting commuters and listening to their specific requests. He quickly moved the arriving cars into the valet lot so that there was no logjam of vehicles. After the rush hour he then carefully positioned each car based on the anticipated return of its owner later in the day. Thirteen lines of cars are arranged so that he or one of his co-workers can quickly access a car or in many cases have a car available for its owner to simply get in and drive off. “Good morning Juan, have a nice weekend,” a woman called out. “Good morning, Mary, you too,” he answered back. “Please lock the car, Juan, there are things on the back seat,” a man advised. “No problem sir, see you later today,” Juan responded. 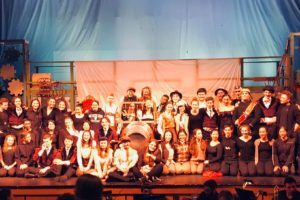 BHS Spring Musical Chitty Chitty Bang Bang Is an Immersive Hit!